Description: Juliet Young always writes letters to her mother, a world-traveling photojournalist. Even after her mother's death, she leaves letters at her grave. It's the only way Juliet can cope. 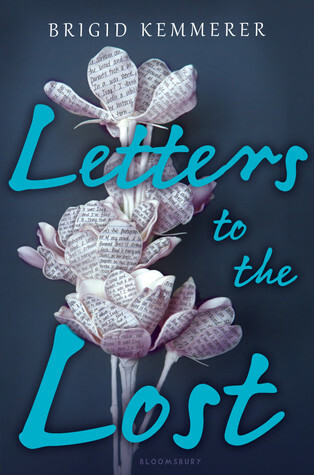 Review: If you are looking for a romance that has depth then I would highly suggest picking up Letters to the Lost. Despite its heavy topics and angst, what sets this book apart from other heavy issue driven romances are the great, full dimensional characters. Declan and Juliet are two teens that live in two separate social circles at school. Declan is the notorious bad boy with a "I hate the world and the world hates me" attitude. He is quick to lash out and act out, mainly because that is what people expect him to do and he uses his anger as a shield to protect himself. Declan is a prickly character at first glance but once we get to know his real side his actions become understandable. Like Declan, Juliet is also hot tempered and gives the air of a prima donna who seems to have everything at her finger tips. She is working her way through her loss of her famous mother who is a photographer and whom Juliet idolizes. The author does a fabulous job describing Juliet's grief by commenting on the photographs her mother took which revealed both devastation and hope in a single picture. 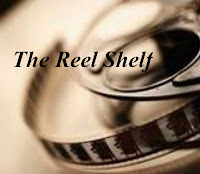 What neither Declan nor Juliet knows is that they both share a connection of grief, guilt, and loss of a loved one and it is that connection that brings them together as they swamp anonymous letters and emails. I loved how the book used the pen pal narrative structure in this book. As Declan and Juliet exchange letters and emails, they allow each other to be vulnerable, honest, and most importantly flawed. It is through these various communications that we see their character and relationship grow whether it is each individual recognizing they are being judgemental or irrational or encouraging each other to step outside of their comfort zone and do something that scares them. Essentially, without realizing it Declan and Juliet become each others confidant and support network making their relationship more intimate. I know some readers have argued that there is hardly any romance in the book since there isn't a lot of physical contact between Decland and Juliet, but I would disagree. I liked how their relationship was built emotionally first and physically second. While Declan and Juliet could have found out a lot sooner about their pen pal identities I appreciated that they didn't reveal themselves until they were ready. I also appreciated that the adults in the story also played an important role. Declan's mother and his stepfather shape Declan's behavior patterns. Declan's mother is passive and childlike yet is desperate to reconnect with her son and let go of guilt that also plagues her. Declan's stepfather also expects the worst of Declan, but he does truly care for his family. Similarly, Juliet's father seems to be the bubbling ordinary man but hides a quiet inner strength and her mother who in Juliet's eyes is perfect in every way imaginable is just human. In addition to the fleshed out adult characters, I absolutely loved Declan's best friend Rev who is always by his side and tells Declan frankly when he is being a jerk. Rev has a rough back story, but I'm sure he will also have a hopeful ending too in his own companion novel. Don't let the angst stop you from picking up this book. This book grabbed my attention right from its opening paragraph and I had a very hard time putting it down. As much as I loved Kemmerer's Elemental series and the Merrick brothers, Letters to the Lost is her best book so far. The book is very likely to be on my best book list for this year. Words of Caution: There is mention of underage drinking and some strong language. Recommended for Grades 9 and up. Nice review. I bought this one for the library but hadn't intended to read it -- now I will. Thanks. Alright you convinced me. I am so fond of the epistolary format, I cant resist. I didnt' read her Elemental Series, never to to it, I read her book that came out beginning of 2016 and I hated it so I wrote her off. I will see if I can get this. I liked this but I also thought it was a little too dramatic in a sense. I guess I just read this and didn't completely feel it. Yay! I'm so so glad you read this and most importantly loved it! I really did too, way more than I was expecting. It really did throw me off guard but in the best way possible.